Responsive Web Design: A web design approach aimed at crafting sites to provide an optimal viewing experience – easy reading and navigation with a minimum of resizing, panning, and scrolling—across a wide range of devices (from mobile phones to desktop computer monitors (thanks Wiki!). The old site is on the left and new responsive website we created is on the right. So What Does Responsive Mean in Practice? We’re glad you asked. To your left is an example of a website we worked on before it was responsive and after it was responsive. While the websites are certainly different looking in other ways, notice the overwhelming difference is that it is much easier to look at on your phone. The original website required the user zoom out to see all of the text and then zoom in on the news they wanted to see. 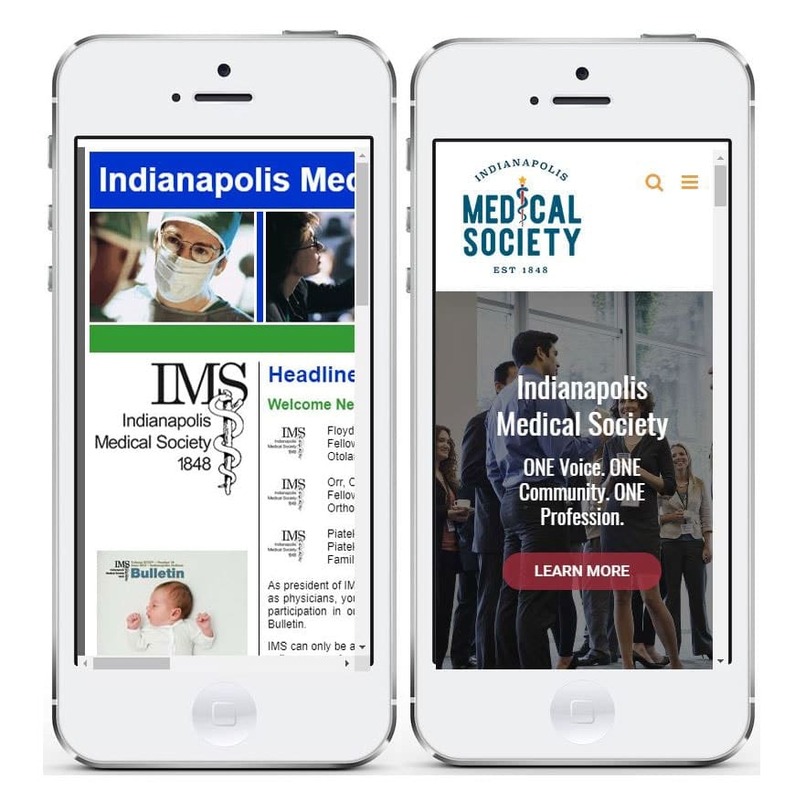 50% of all website traffic occurs on mobile devices. We’ve had clients when those numbers approach 80%. And if you are an eCommerce owner, you should forget about trying to sell stuff to people on their phone if your website isn’t responsive. No one is going to take the time to scroll through your menu’s when Amazon is right around the digital corner and offers a fully integrated design. There is one thing worse than than your company using a website that doesn’t switch based on the size of the device – having a ‘mobile friendly website’ that misrepresents your brand and its content. This is common on Wix hosted and created websites or on websites built on similar softwares. The end result is something that neither looks good nor provides the type of experience or information you want your visitors to have. So what now? Does your website needs some freshening up? We can help. Simply fill out the form to get started.